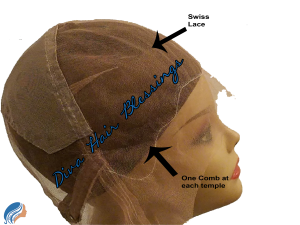 Our Glueless Full Lace Wig feature full lace cap that can be worn with or without adhesive. They are made with adjustable straps and combs for a secure fit. Like any other full lace wig, these units are 100% hand tied so they can be parted anywhere and can be worn in a high pony. This collection is made with premium grade 100% Remy or Virgin on Swiss lace base for the most natural looking hairline.